At an ideal central location within walking distance of the Principality Stadium and the city centre, and with excellent on site facilities, Camp Cardiff will provide a range of accommodation styles to suit all budgets. With accommodation from as little as £50 per person per night, you will struggle to find better value accommodation and a better central location for the UEFA Champions League Finals. Campingninja are very excited to announce that Camp Cardiff will see the official launch of our brand new, luxury arena Area 38! We’re taking Glamping to a whole new level of comfort, so you can kick back and enjoy the UEFA Champions League Finals 2017 in style. As a luxury camper you will be granted access to our free on site car park, secure device charging lockers, have access to the exclusive VIP bathroom facilities and the Area 38 pamper parlour – fully equipped with hair dryers, straighteners, and extra electrical sockets for all your pampering needs! We’re also really excited to be bringing our brand new, giant Tipis with a fully equipped bar and comfy lounges, so when you’re exhausted from cheering on your team you can relax inside the exclusive Area 38 lounge with a chilled beer in your hand. What more could you want? noozies are portable, lockable and comfortable hotel pod rooms, furnished with real beds (two singles or a double), fresh linen, USB charging points, and LED lighting. Guests will be provided wrist bands to lock and unlock these comfy pods, so you can rest assured knowing that your belongings will be safe inside. Our fresh alternative to camping will enable you to camp in comfort all inside your own secure Snoozy hotel pod. 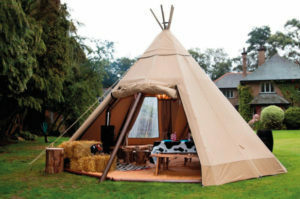 Welcome to your own Luxury Tipi, a stylish and spacious Tipi tent for up to 2 persons. Kitted out with a double bed and real mattress, linen included, and access to all the Area 38 facilities, including free on site parking, device charging lockers, and a comfy lounge area. The Area 38 Luxury Bell Tent offers a spacious luxury tent for up to 4 persons, with air mattresses, linen included and access to all of the Area 38 facilities. 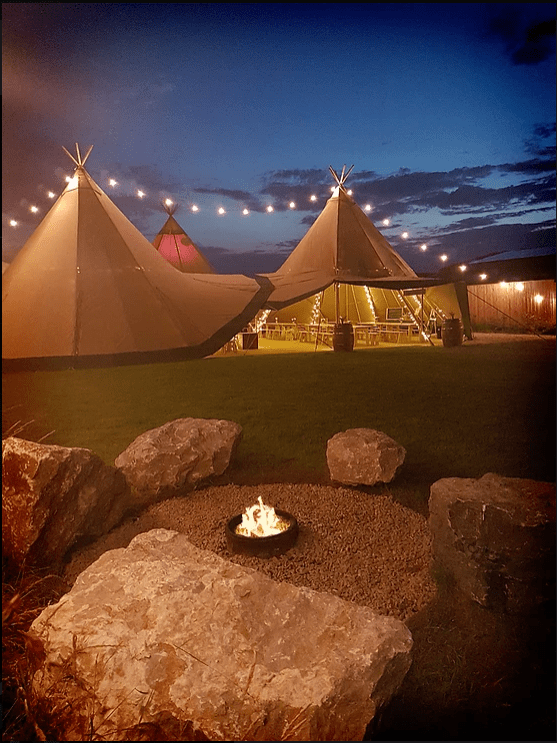 On site parking, access to device charging lockers, exclusive Glamping bathroom facilities and pamper parlour, and access to the Area 38 Giant Tipi lounge and bar are all included. Our Pre-Pitched Tents will be back with fantastic camp facilities for everyone to enjoy! We offer great showers and toilets, an onsite bar, hot food, free device charging points, 24 hour security and on site staff to assist you. Our tents are fully equipped with air mattresses and bedding packs (sleeping bags and pillows) so you can travel light, and an affordable breakfast will be available on site to get you going in the morning. Camp Cardiff is situated in the stunning Pontcanna Fields, just a short walk from all the action! We’re an easy 18 minute riverside walk to the Principality Stadium, home of the UEFA Champions League Finals. The City Centre is only a 20 minute walk away and we’re a 25 minute walk from Cardiff Central Train Station, or 15 minutes from Cardiff Coach Station (Sophia Gardens). We offer a range of Pre-Pitched Tents, with prices from as little as £50 per person per night. Check out our price table to find the right kind of camping for you! Don’t miss out, we’re looking forward to seeing you at this once in a lifetime event! To enjoy all this and more, read more about our Bell Tents, Tipis and Snoozies here! BOOK YOUR CAMP CARDIFF ACCOMMODATION NOW!